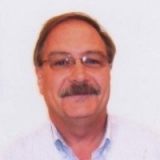 Thomas L. Duft is the Executive Vice President of Operations for WD Semi LLC, a full service equipment services company, specializing in the redeployment of used semiconductor equipment. Thomas has over 30 years in the semiconductor industry specializing in semiconductor equipment, operations, engineering, manufacturing, service, and marketing. Thomas attributes his success to his passion for the industry and being a team player. In the next 4 to 5 years Thomas is anticipating retirement and spending time being actively involved in his community. One of the milestones in his career includes being an important contributor in the turn around of several start-up businesses. His international experience includes working in multi-site operations for facilities in Europe, Singapore, and Japan. Thomas received his Bachelor of Science from the Electrical Engineering University of Massachusetts Lowell. In his free time he enjoys refurbishing classic cars, wood working, and astronomy.